It makes no difference if I'm only wearing jeans and a sweater: every time I wear this white cuff bracelet I feel like Wonder Woman! Totally elevates this super-casual outfit to a whole different level. And the best added bonus? The faux-leather is against your skin, not the cold metal. So it's actually quite comfortable to wear in the winter, which I find very hard with bracelets during cold times. Double score for this cuff! 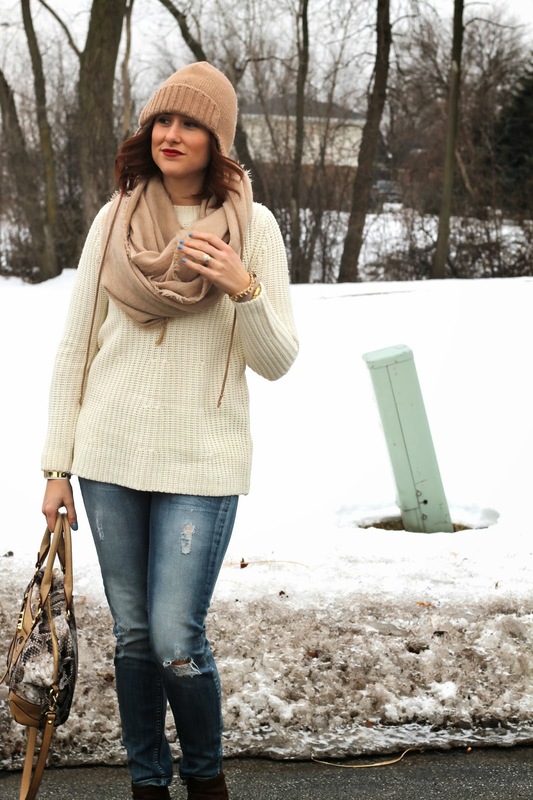 cream and tan are so wintery perfect, and I just adore that bag!